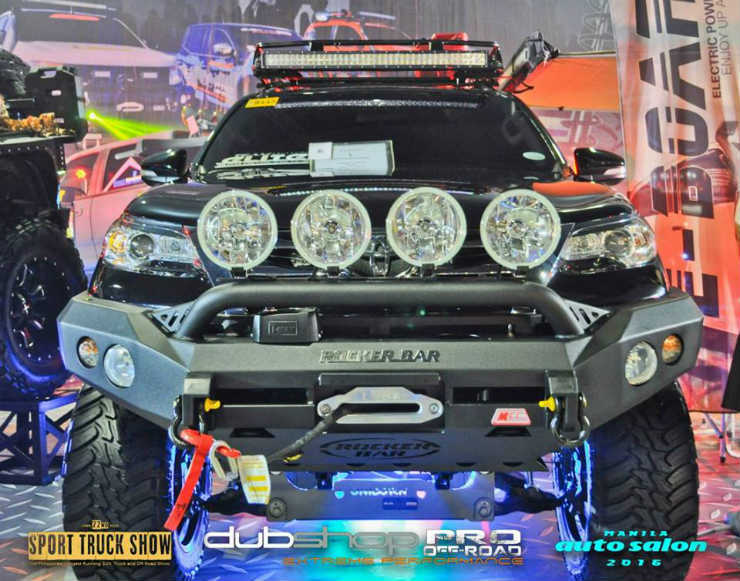 This Fortuner that has been done up by a company called Dubshop Pro for the Manila Auto Salon that took place a few months ago. The vehicle looks kickass and ready to take on all sort of terrain. The first thing you notice is how high the vehicle is. This is courtesy a lift kit which has been added and the ground clearance has been raised by a lot now. This has been complemented by the larger rims and tyres. Since the vehicle has been built to go off-road, the front bumper has been replaced by a metal off-road one which has a winch and auxiliary lights. The roof now gets a roof rack with a LED light bar. At the back too, there is a new metal bumper that has been added to protect the body work from damage in the case of severe off-roading. Lexus is owned by Toyota, and a lot of their vehicles share parts. For instance, Lexus’s flagship SUV the LX shares most of its parts with Toyota’s flagship, the LC. This, however is restricted to the higher end vehicles only. 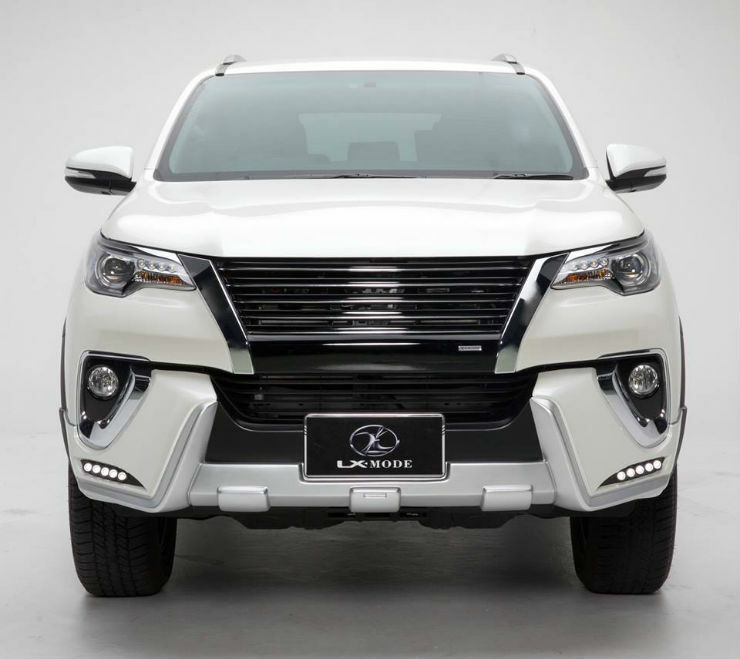 If you’d like your Fortuner to look like a Lexus, there is a company that can make that transition for you. 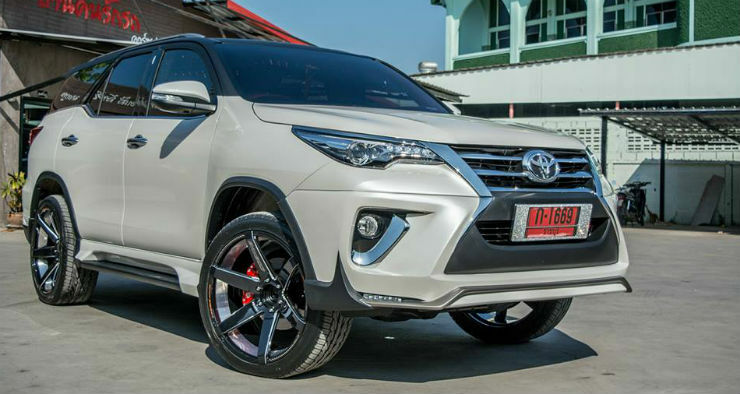 The company, called LX Mode is based out of Thailand and offers a kit that can transform your Fortuner to make it look like a Lexus. The changes include a new grill, with horizontal slats, something that is distinctly Lexus. The grill now extends into the bumper and there is skirting which has been added to the bumper as well. 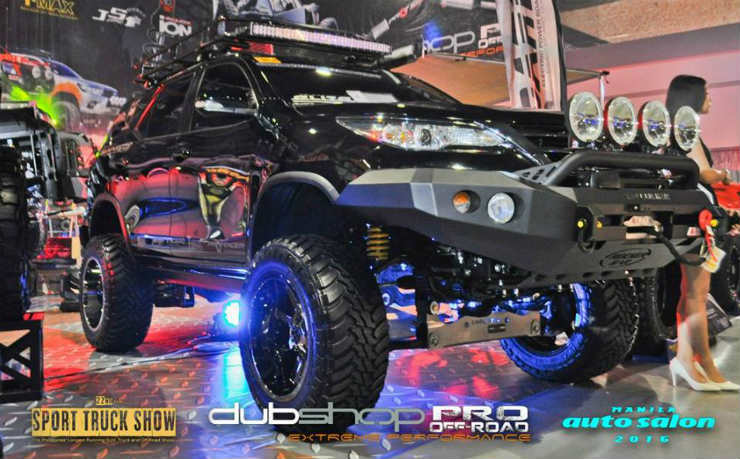 Toyota’s Racing department, or TRD as it is called came up with this Fortuner for the Philippines Motorshow. Unlike the normal TRD kit that is available, this one has technical mods as well. 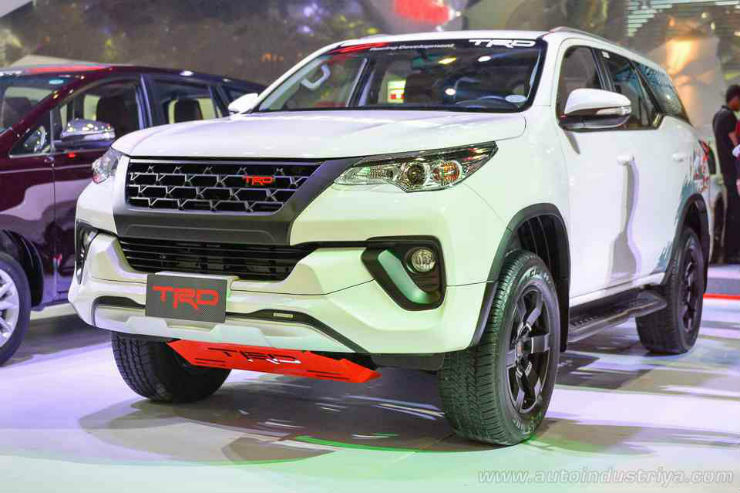 For starters, it looks more aggressive with the new grill and the red TRD skid plate. All the chrome has been blacked out, something that we liked. TRD has changed the suspension and has lifted the vehicle now, which can be seen in the image. The vehicle now sits on 18″ wheels and a side step has been added to aid getting in and out of the car. At the back too, there is an updated bumper. Who said that the Fortuner cannot be made to look sporty? This one pictured here has been done up very well. The owner has opted to lower the SUV, something that not many people opt to do. So now, with the lowered suspension and the large rims, it has the stanced look. The front end has also been given an update and now gets a revised grill and bumper which give the Fortuner an aggressive look overall. The rear bumper has also been given a make over with a more aggressive look and a diffuser. 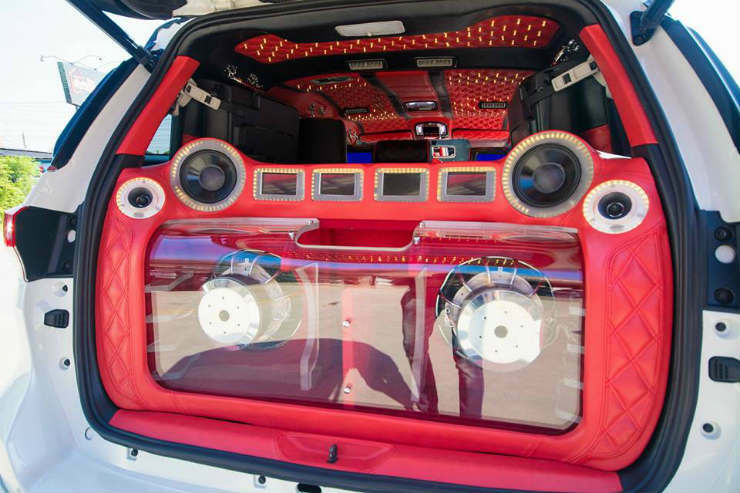 For those who want to make their ride sweet sounding, on the inside, this one has to be an inspiration. Yes, there is a body kit on the outside as well with a changed bumper and a splitter and side skirts, but it is the mods on the inside that supercede the mods on the outside. The interiors have been given a complete makeover as well, in addition to the audio system, there is new lighting which has been added which changes colour as per the beats of the song.